When it comes to skincare, I feel like this is the year I’ve taken control of my regime. As a result my skin has never looked better and I’m in a really good place with it. All those things I knew to do, but sometimes casually forgot and all those products that I just never used even though they would have helped…well, I assumed I knew better and stuck to the same sorts of things – and never wondered why I didn’t see a difference! The truth is that if you’re not happy with your skin then without changing your skincare regime, you won’t see different results. We stick to the same products and the same regime, and enter into a battle with skincare that circles disappointment and bewilderment, and yet never try anything new. Having rediscovered a passion for skincare this year, I’ve become very protective of my regime. I finally found a new lease of life in my skin and I’m determined to hold on to it. So I’ve been wary of trying too many new products out. However I’ve also learned that while some products should ideally remain in your regime, there are some that can be switched about. It’s all about finding that perfect solution. Because beautiful skin is available – it just takes a while to find the combination of products to achieve it for each individual. One product I’ve been trying out is facial oils. After my essentials: cleaner, toner, moisturiser, serum etc, a facial oil is something I’d yet to settle on. 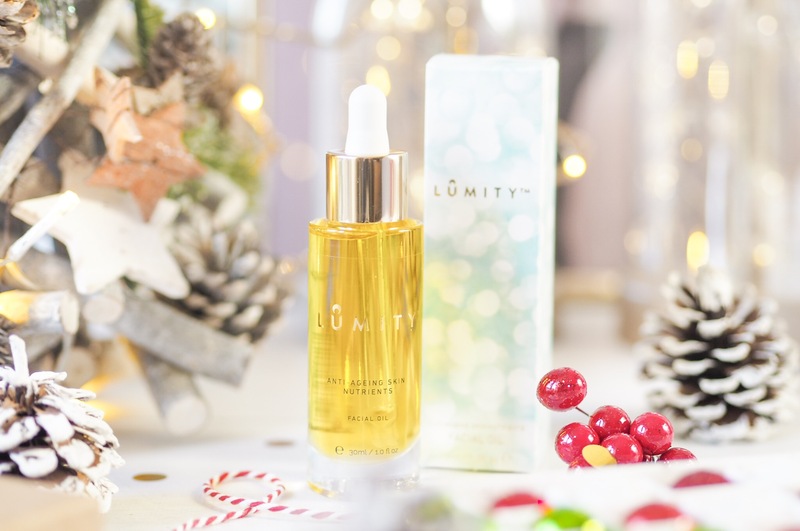 So I jumped at the chance to try the Lumity Life Anti-Ageing Facial Oil. Despite only being 31, I blogged this year about seeing fine lines beginning to appear, and seeing as skin begins to lose elasticity at around the age of 25, it’s actually really important to find an anti-ageing solution earlier than you might think. So the Lumity Life Oil sounded great. Designed to replenish the skin with all the nutrients it needs to look it’s best and fight the signs of ageing, there’s 32 different botanical oils and extracts in each bottle. Together the combination is supposed to encourage the skin to reinforce it’s natural barrier to create and sustain hydration levels. This is what happens at 25 – your skin loses it’s ability to do this as well. So naturally, we all need help with it. And also the addition of extra collagen support goes a long way with skin and ageing. So, I set about trying the Lumity Life Anti-Ageing Facial Oil for the past nearly four weeks, and the results have been interesting. I’ll start by saying that once you have a reliable skincare regime, you don’t need to worry about trying new products out. I previously worried about trying too many new things and what it would do to my skin. But now I have a regime I’m already established and confident in, I was excited to start with this as an ‘extra’. I applied twice daily – once in the morning and once at night. I don’t overload my skin in the morning, I start with a cleanse and then a daily serum and moisturiser and then I’d apply this along with the moisturiser first thing. During the evenings my regime is more lengthy but I’d end with this each day. Method of application was always a few drops in the hand, warmed together and then patted over the face. I also found it quite nice patted into my neck and décolleté area too. Although admittedly, you don’t need to apply here if you don’t want to, I just thought: why not?! After my skin adjusted to the regular use of the oil, which I’d say took about a week, I started to notice that things looked a little brighter. And for me the biggest noticeable change was that when I had no make up, and I was applying my skincare, for the very first time, I would look in the mirror and feel my skin looked truly lovely. Even, smooth and pure – is that a thing for skin, pure?! It just looked really renewed. I still had discoloration in patches, and large pores, but the gradual change began within about 7-9 days and I continued to see this level of lovely and even skin each day. Especially at night as I’d examine my skin more closely then. By the third week of using the oil I’d noticed the softening of the fine lines we call ‘crows feet’ around my eyes. These are so minor on me anyway, but I felt they looked smoother for longer and it was more than a ‘quick fix’ that I get from my facials. I’d notice that all day the area looked better, and my make up didn’t seem to be sinking into the lines as it had previously started to. By my fourth week of using the oil I’d recommended it to my mum, who being 22 years older than me, is always on the look out for great anti-ageing products. Having found this really lovely and smoothing for the skin, I was quick to let her know about it. After a month of use I can say I’d give the Lumity Life Anti-Ageing Facial Oil a Lady Writes thumbs up. It’s slotted in to my regime nicely and the scent of the oil itself is really relaxing – something I really enjoyed during my evening use – it was such a calming aroma. 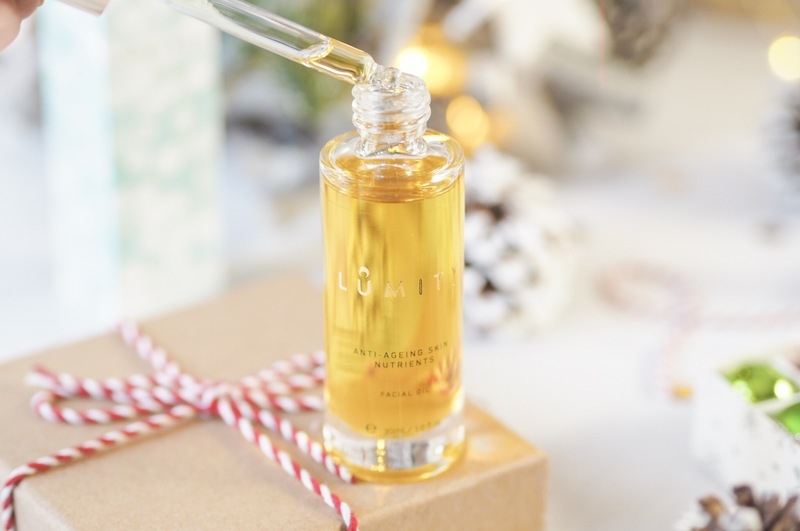 The results to my skin were lovely too – I’d say this oil has a big hand in keeping my skin nourished and hydrated, which is something I’ve been working to improve. Having started to notice the loss of elastin and my skin not looking quite as firm around my mouth and eyes, I can’t say it’s completely removed this – no product will actually turn back time without surgery. BUT I can say that it’s made a massive difference in it’s appearance. 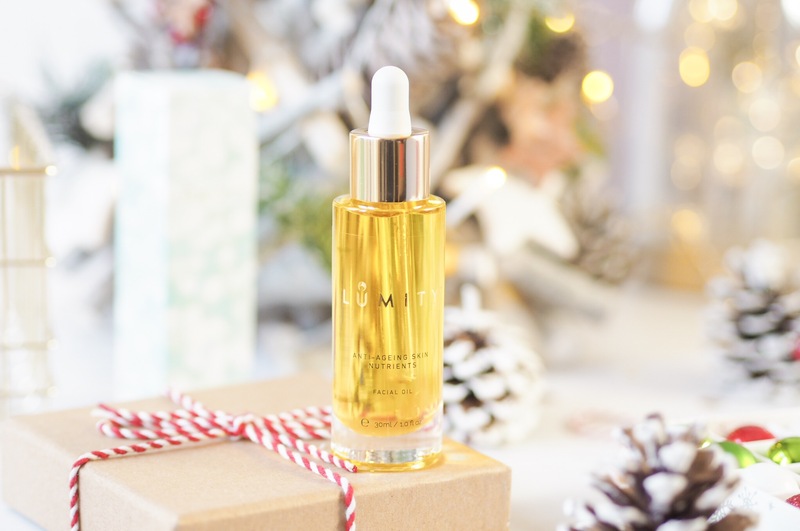 The lines are far less deep and noticeable and it’s given me back my confidence in these areas – which is really what any great anti-ageing oil should be doing for you. No longer does my make up sink into those lines and highlight them even more, which can be something to make us ladies feel uncomfortable. But using this softens those lines to a manageable level that gives the confidence back. 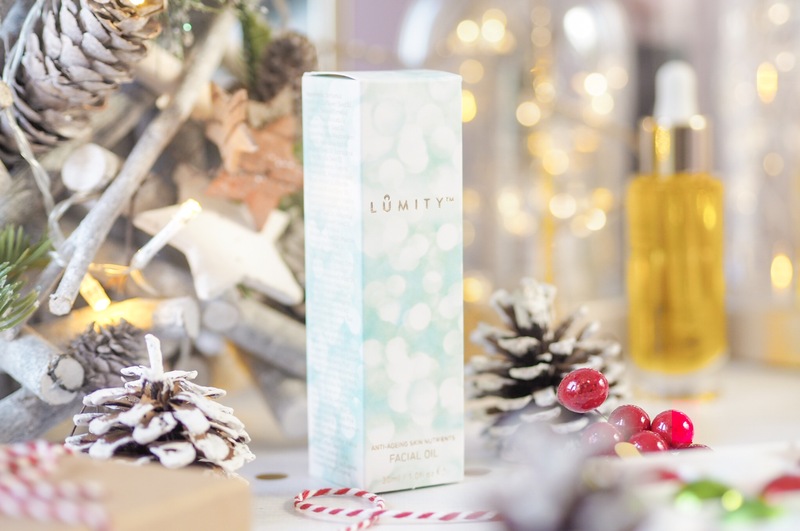 Lumity Life have a restock option on their website where you can have a fresh bottle sent to you regularly so you’re never without it, and this is a great tool. Because it means once you start using it, you’ll never be without it again. Get your Anti-ageing facial oil here. I haven’t heard of this but I swear by facial oils, I love them! I love a good face oil! I usually mix one into my moisturiser for some extra moisture! This sounds like an amazing product and this oil sounds like it can make a difference to your skin! I’ve not heard of this it sounds really good! You’ve had some great results with it.